Chavista candidate Nicolas Maduro and his rival Henrique Capriles both announced they would accept any election result. Earlier the opposition slammed Maduro for allegedly violating a media blackout while his Twitter account was hacked during the vote. Capriles’ campaign team lodged an official complaint against the government for what they called a “violation of electoral norms” on the blackout day before the polls opened. Nicolas Maduro appeared on Venezuelan television on Saturday visiting the tomb of deceased leader Hugo Chavez and marking the anniversary of the 2002 coup d’état against the former president. 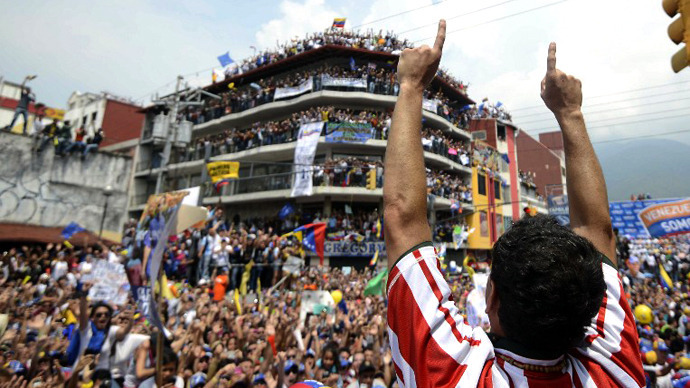 "Let's honor his [Hugo Chavez's] memory, his legacy," Maduro told Venezuelans in a speech at the tomb, accompanied by renowned Argentine footballer Maradona. 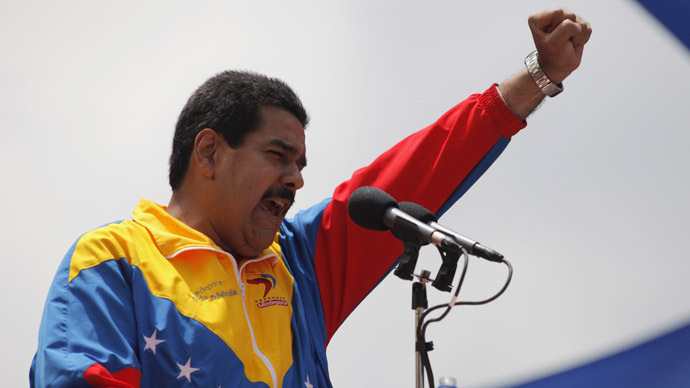 Maduro also inaugurated the television channel ConCiencia, taking advantage of his moment in front of the camera to criticize some of Venezuela’s most famous actors and directors for their support of Capriles. 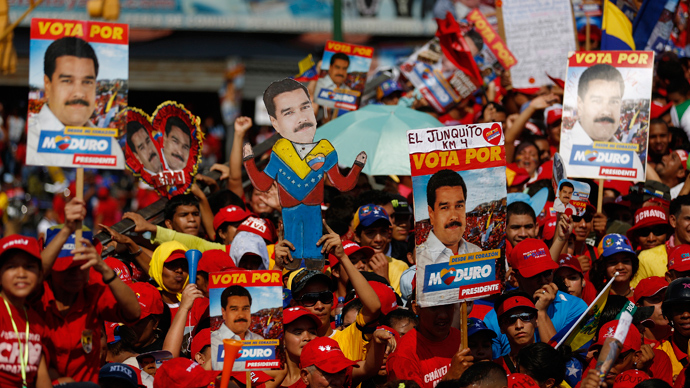 Acting President Maduro is currently the frontrunner in the polls, leading by 5 percentage points according to a survey by Datanalisis. 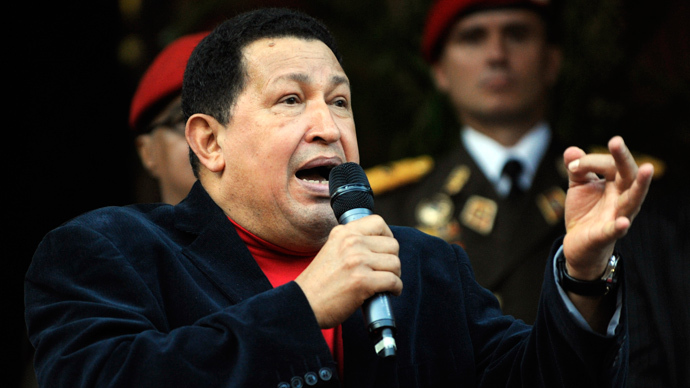 The former bus driver has capitalized on the public grief that followed Chavez's March 5 death, calling himself the former president’s “son” and vowing to continue his legacy. 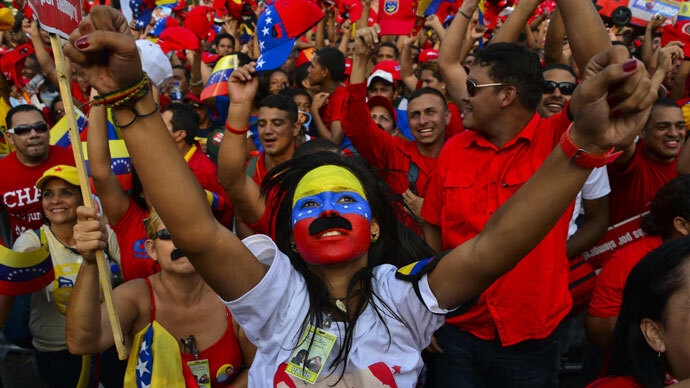 Despite Maduro’s initial dominance in the electoral campaign, rival Capriles has gained significant ground in the run-up to Election Day. The opposition candidate has called for a business-orientated economic model that he says will emulate Brazil’s recent growth. “In the state of Miranda we implemented the FomeZero social initiative, a Brazilian idea, and in four years we helped more than 75,000 people in extreme poverty,” Capriles said in an interview with Brazilian outlet Globo. Political analyst Gearoid O Colmain told RT that the opposition has little support among Venezuelans and Maduro should have an easy victory in this election.